Without helium — the second lightest element on Earth, used at Thanksgiving to lift skyscraper-size parade balloons — medical science might come to a standstill. 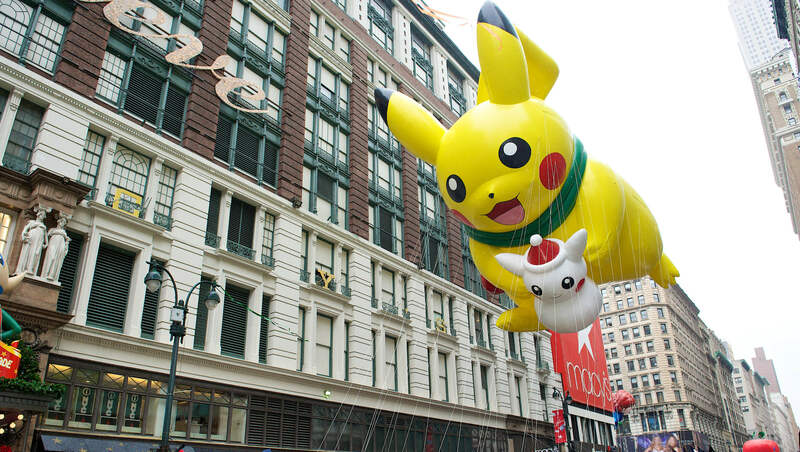 Ninety-two years ago, the Macy’s Thanksgiving Day Parade was born. Today, the holiday spectacle uses about 400,000 cubic feet of helium annually to loft a couple dozen gigantic balloons and float them down the streets of New York City. That’s about 10 percent of a single day’s use of helium in the U.S. The Federal Helium Reserve, a vast underground cache beneath parts of Texas, Oklahoma, and Kansas, supplies a large portion of the entire world’s helium use. Helium is a mainstay component of computer chips, semiconductors, welding machines, rocket engines, Geneva’s Large Hadron Collider, fiber optics, and nuclear reactor coolers. It’s also essential to medical science. In 2013, during the throes of a worldwide helium shortage, about 22 percent of the U.S. helium supply went to cooling MRI machines. Eight percent went to party balloons. Some molecules are just too small to see in a microscope, no matter how powerful, because they’re too tiny to actually have light bounce off them. Helium is essential to x-ray crystallography, which fills that knowledge gap. X-ray crystallography provides a process by which scientists can “see” the shape of the tiniest of molecules down to the atomic level by studying the pattern of x-rays they scatter. To get good x-ray scattering, or diffraction, you need a tightly focused x-ray beam. The mirrors that bounce such powerful x-rays would degrade if exposed to air, which at 29 percent oxygen, would oxidize the mirror. Helium comes to the rescue. “The helium is there to keep the oxygen out,” says John Knafels, an x-ray crystallography expert at Pfizer’s Groton, Connecticut site. According to Jane Withka, head of Pfizer Groton’s NMR lab — or nuclear magnetic resonance, the atomic equivalent of an MRI, which uses magnetic fields and radio waves to create detailed images — helium is medical mission critical. “We couldn’t do magnetic resonance studies without liquid helium. And you’d be very hard pressed to do an MRI on humans in a hospital,” says Withka. An NMR, like its hospital counterpart MRI, uses superconducting magnets. “We put samples in an NMR instead of people,” explains Withka, to determine protein structures, say, or test if a medicine is getting to the right target inside the body’s molecules. The need for liquid helium is a consequence of the machine, says Withka. “There is a current running through the superconducting wire, and the current keeps running as long as it super-cold. That current can never stop. Liquid helium bathes the wire to keep it cold.” Helium is apt for the task: It has the lowest boiling point of any element, -269C, just a few degrees above absolute zero. And it can never become radioactive. But a little bit of the helium escapes through the machine’s cracks as a gas every day. Because it’s the second lightest element on Earth, it will keep rising, all the way to space. One 600-megahertz magnet requires a refill of about 250 liters of helium every 6 to 8 weeks. A large research facility could have about 30 such superconducting magnets. Withka sees possibilities for lessening the need for helium drain in the future. Magnets that are somehow fuel-tight and don’t need refilling is one option. The potential also exists for recycling helium, capturing it as it trickles out and well before it goes beyond the Earth’s atmosphere. University labs like those at Yale are leading the charge of capturing the gas that leaks out of the magnets, sending it to a purifier, to someone else to convert it to a liquid again, then funneling it right back into their NMRs to fuel future study.